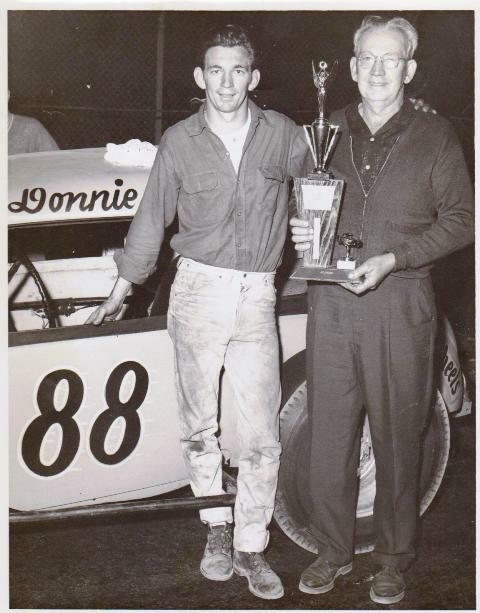 Donnie and "Pop" proudly display a trophy Donnie won in his early racing days in south Florida in the early 1960s. 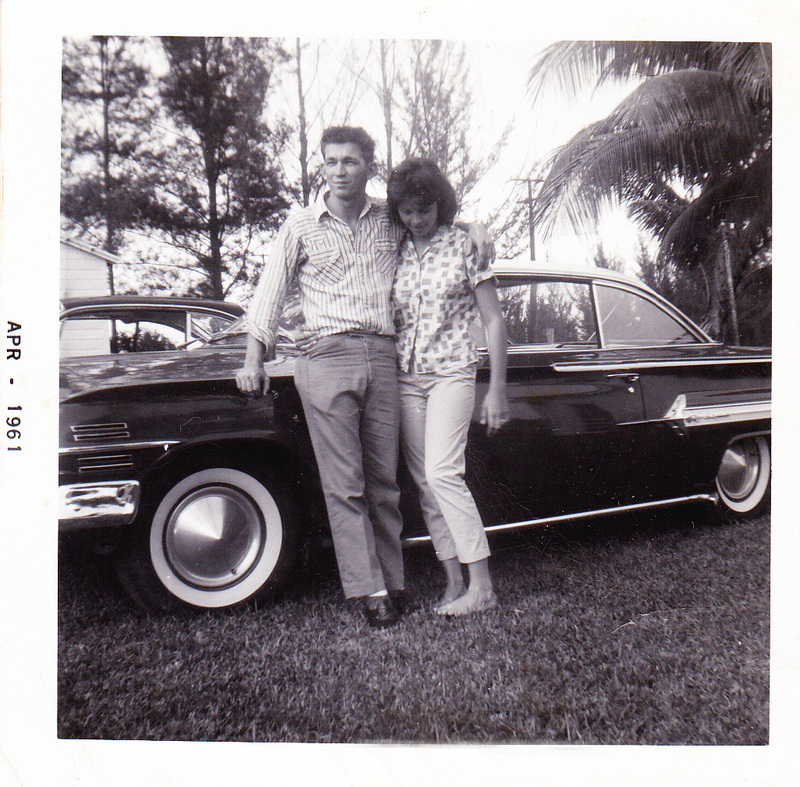 Even though his way of showing it was to drench her in cold water twice in the early going, Donnie admits he fell in love with Pat Leserra the very first time he ever saw her, and it's a love affair that's closing in on 50 years now. 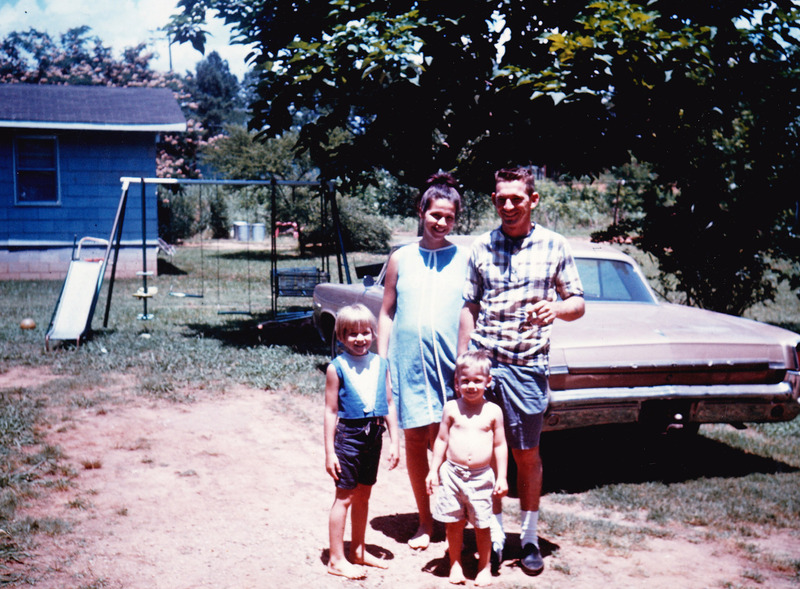 With Pam and Kenny growing like weeks, twins Ronald and Donald were also well on their way in this Allison family portrait from 1967. 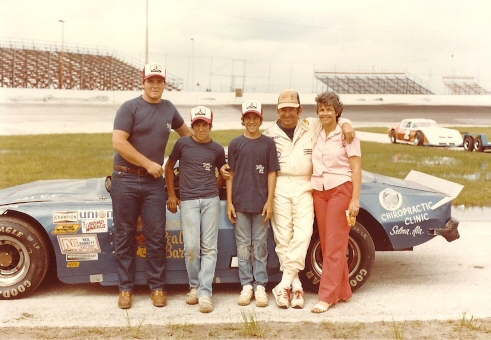 The twins and Pat were Donnie's constant companions at short tracks across the southeast as was Chester Hunnicutt, the large man to the left of this photo who a member of DA's pit crew and one of his closest friends throughout his racing career. 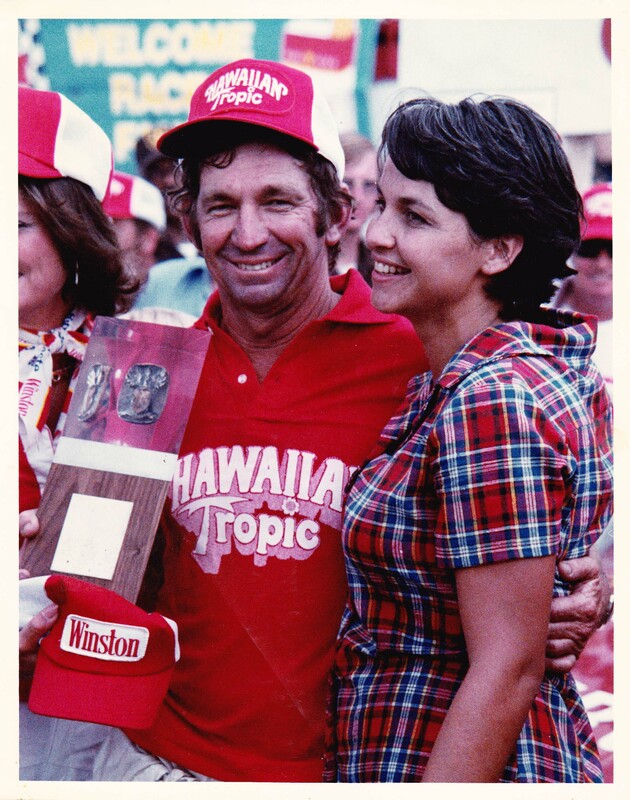 Donnie and Pat enjoy the moment in Victory Lane after he won the 1977 Talladega 500 at the then Alabama International Motor Speedway. Whether it's been raising kids, racing, wrecking or recovering from injuries, Pat has stood by her man through it all.